Backpacks have changed a lot since we were kids. Some have built-in chargers for your laptop and military-style drysacks restyled for everyday use. I find wearing a backpack when I travel far more comfortable than carrying a shoulder duffel bag. It's hard to find a backpack that is equal parts stylish and functional, but not impossible. How do you go about picking a backpack? Try it on in-person. Look in the mirror to see how it looks in proportion to your body. At outfitters like Eastern Mountain Sports, sales associates are trained to help you find the right fit, so it's worth consulting them for advice. Last, be sure to pay close attention to the weight of the bag when it's empty. Heavy bags can wreak havoc on your posture and cause neck pain. Larger, high-quality backpacks carry a higher price tag but are an investment piece. Second hand shops and garage sales are two unlikely places thrifty shoppers often find gently worn backpacks for a lower price. This kind of backpack will roll or lie flat in your bigger carry-on bag. It's useful for storing things like your camera, your notebook, wallet, phone, and maybe an umbrella or hat, so that you can stay focused on exploring your destination. With a daypack, you can fit more stuff than when you use a cross body bag. The flexible yet sturdy 100% recycled cotton canvas fabric of the Baggu Backpack makes it an incredibly easy backpack to stow under the airplane seat in front of you. The Stuffable Pack is one of those weightless nylon bags that folds up into a tiny carry case and takes up hardly any space in your carry-on luggage. The Petra Backpack is Everlane is handmade in Italy. It's the perfect little leather bag to throw over your shoulder for a day of exploring. The Runwell Backpack is made in the USA from genuine Horween leather (learn more about that process here). There's a canvas lining and padded compartment for a small laptop, making this the perfect bag for the urban freelancer. These packs, featuring minimal branding and clean lines, are the perfect size to fit a couple changes of clothes for a long weekend away. Equal parts rugged and stylish, the Filson Duffle Pack is a matte nylon backpack/duffle bag combo that serves many purposes. The padded laptop pocket ensures your electronics stay safe while the rest of the bag is devoted to shoes and clothing. At 40-46L capacity, this is the largest bag on my list. 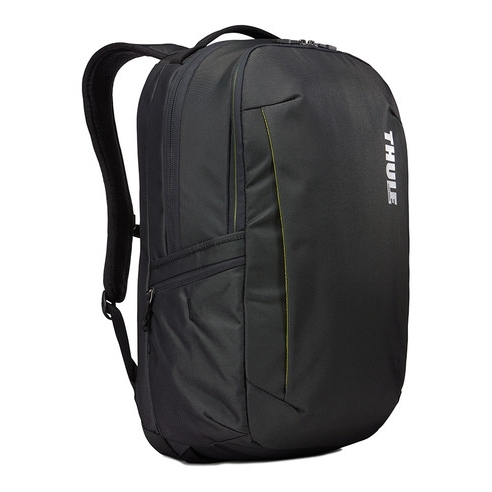 The Thule Subterra (30 L) caught my eye because it's sleek and professional looking. The ability to slip it over the handle my wheeled carry-on suitcase is unique, as is the side laptop compartment. Because my last Jansport bag is just as good as it was on my first day of middle school (yikes!) I decided it was time to seek an updated version of the bag I've kept for years. I like the side compression straps on the Watchtower Backpack (28 L), which helps compress your belongings inside the bag even futher. 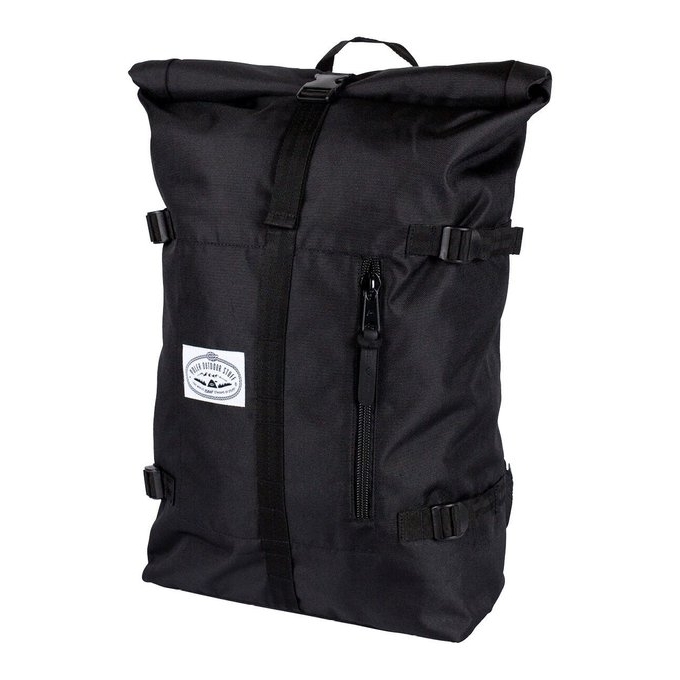 At 28L, the Poler Classic Rolltop is a backpack I recommend for overnight stays. With no flashy outside hooks or snaps, this bag is as minimal as you get. The inner laptop sleeve and wide open compartment style make it easy to throw in a change of clothes and go. 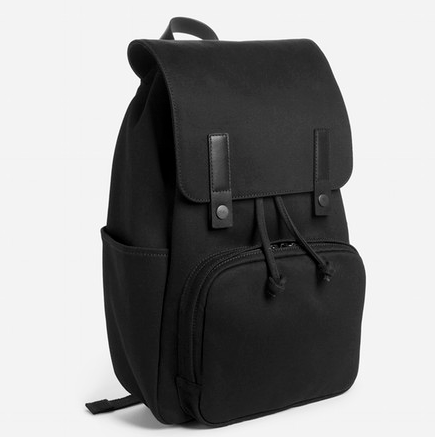 Though the Modern Snap Backpack is much smaller than other bags on this list (19L), Everlane still managed to include a padded 15" laptop compartment in this stylish backpack. This bag can easily be a daily commuter bag. I love the cotton twill exterior and the side pocket (perfect for my post-security water bottle purchase). The post Carry-On Style: Backpacks first appeared on One Carry-On.